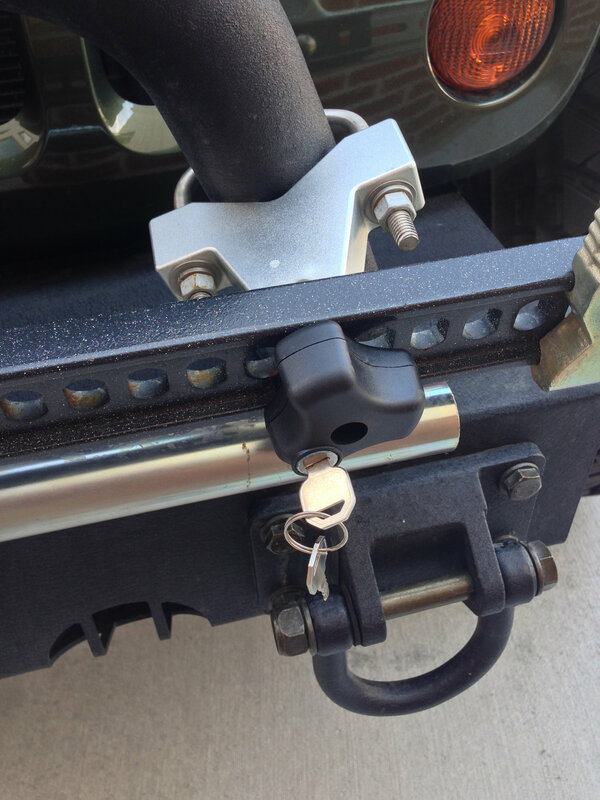 The Locking Knob is a "must have" for any Hi-Lift manufactured Jack Mounting Kit owner. The Locking Knob replaces an existing knob or wing nut provided on Hi-Lift Jack Mounting Kits. Once tightened, the Locking Knob can be locked with provided key. 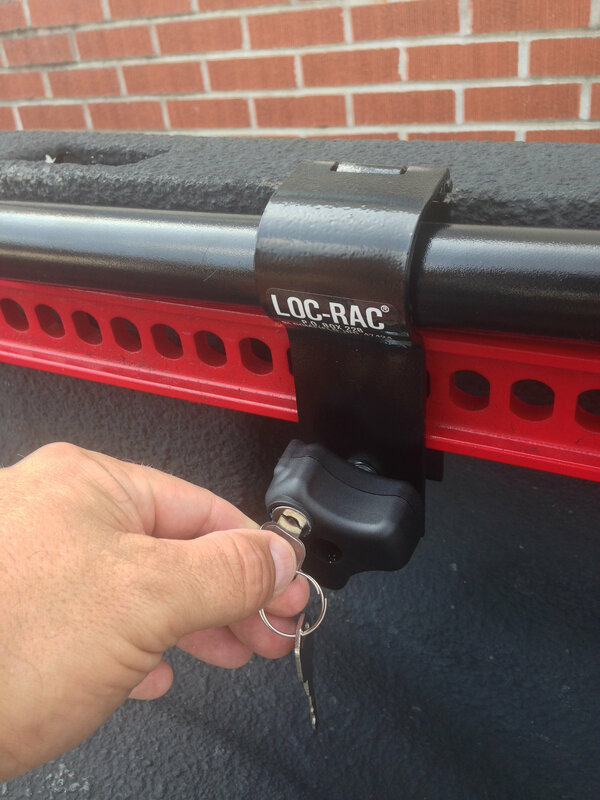 Once locked, the Locking Knob spins freely and cannot be removed, securing the Hi-Lift Jack. 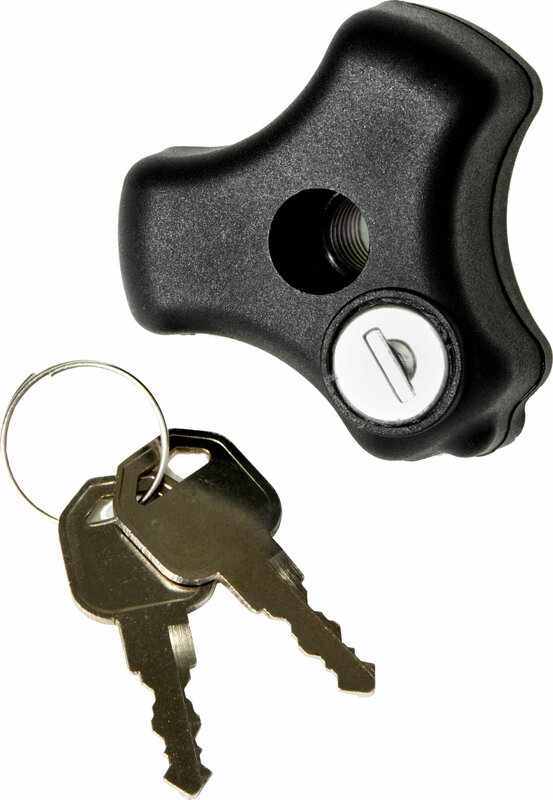 The Versatile Locking Knob is made for use with 4XRAC, Adjustable Tube Mounts, and Loc-Rac. 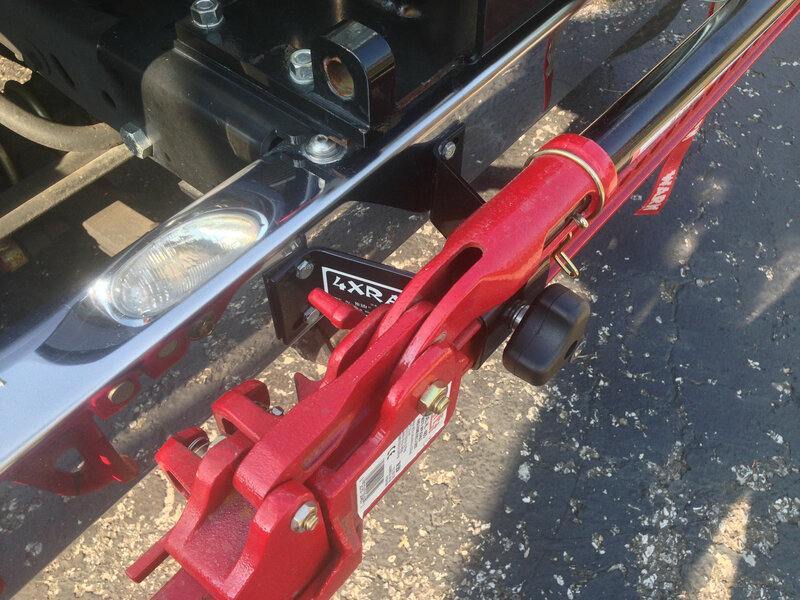 The Versatile Locking Knob can also be used to secure the Winch-Clamp-Spreader Attachment that is only available on Hi-Lift X-TREME Jack models. Will not fit Hi-Lift Jack Hood Mount! Please use 92200.0023 for Hood Mount applications. It jammed the first time I used it. It's on now so hopefully I can get it off. I love the idea but it's just junk. Works like it is supposed to but DO NOT use the split washer under this, it will dig into the base and is almost impossible to get off depending on which way your split washer is facing. (Otherwise it will dig in as you are putting it on) I am using no washer, and nothing has moved in the few months I have been using it.